Boom sire Zoustar added a new stakes winner at Sandown on Saturday. The stellar spring for the leading second-season sire continued when his three-year-old daughter Persuader (Zoustar x Fast Talker by Fastnet Rock) became his fifth individual stakes winner by taking out the Listed Twilight Glow Stakes for trainer Mick Price. Persuader , a $360,000 purchase at the Magic Millions Gold Coast Yearling Sale by Sheamus Mills Bloodstock from the Widden Stud draft, joins G1 winner Sunlight, Zousain, Lean Mean Machine and Charge as stakes winners in Zoustar’s first crop. Persuader is the third foal from the stakes-placed mare Fast Talker (Fastnet Rock), a daughter of the Listed winner Crystal Wit who is a half-sister to the ill-fated Golden Slipper winner Crystal Lily. Widden Stud celebrated a notable double at Sandown when the classy Sebring 3YO Ringerdingding won the G2 Sandown Guineas. The Darren Weir-trained Ringerdingding backed up from a win in the Listed Springtime Stakes at Flemington the previous week to beat the G1 winning filly Seabrook by three-quarters of a length and take his record to four wins and two placings from 12 starts for earnings of $347,295. B2B Bloodstock purchased Ringerdingding (Sebring x Maybe I by Red Ransom) for $170,000 at the 2017 Melbourne Premier Yearling Sale from the Three Bridges Thoroughbreds draft. He is one of two winners from the G3 placed Maybe I, a half-sister to the stakes-placed Perth mare Fort Courage (General Nediym). Ringerdingding’s third dam is the dual G1 winner Flitter (Bluebird). Maybe I was purchased by Paul Willetts Bloodstock for $120,000 at the 2015 Australian Broodmare Sale and has produced a Sebring brother to Ringerdingding this spring. Ringerdingding is one of 51 stakes winners by Golden Slipper winner Sebring. 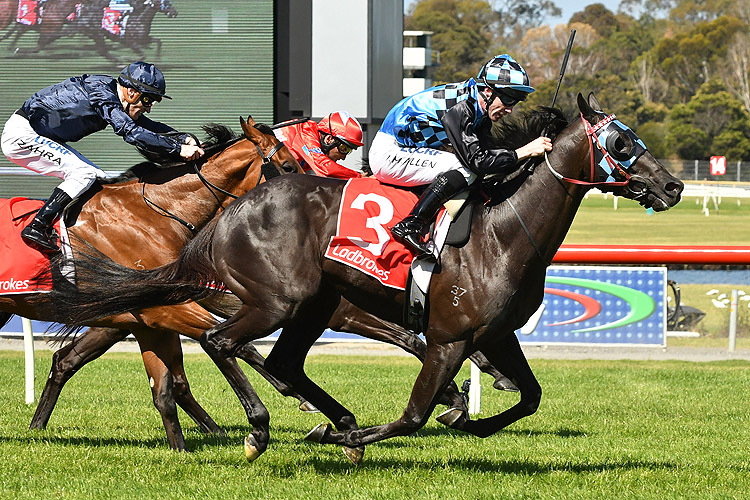 Valuable 5YO mare I'm A Princess became the 123rd stakes winner for her late sire High Chaparral when she won the G3 Summoned Stakes at Sandown. I'm A Princess (High Chaparral x Pentamerous by Pentire) scored by a long head from Zumbelina (Stratum) with Aeecee Tong De (Pierro) third in a win that significantly boosts her value as a broodmare. I’m A Princess is a sister to five-time G1 winner Shoot Out and has now won five of her 12 starts for prize money of $178,550. 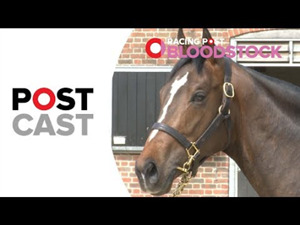 She is one of three stakes winners among five winners from the winning mare Pentamerous led by Shoot Out and G3 winner Cassandara Shadow (Johannesburg). Pentamerous, a half-sister to G2 winner Native Jazz (St Hilarion), has failed to get in foal since producing I’m A Princess in 2013. Outstanding Irish-based stallion Sea The Stars sired his 49th stakes winner when the Darren Weir-trained import Fifty Stars won the G3 Sandown Stakes for his sixth win in eight starts. Fifty Stars (Sea The Stars x Swizzle Stick by Sadler’s Wells) was sold at the Tattersalls October Yearling Sale for 110,000gns to John Foote Bloodstock. Sea The Stars (Cape Cross) has sired nine G1 winners including Stradivarius, Sea Of Class, Sea The Moon and Zelzal. 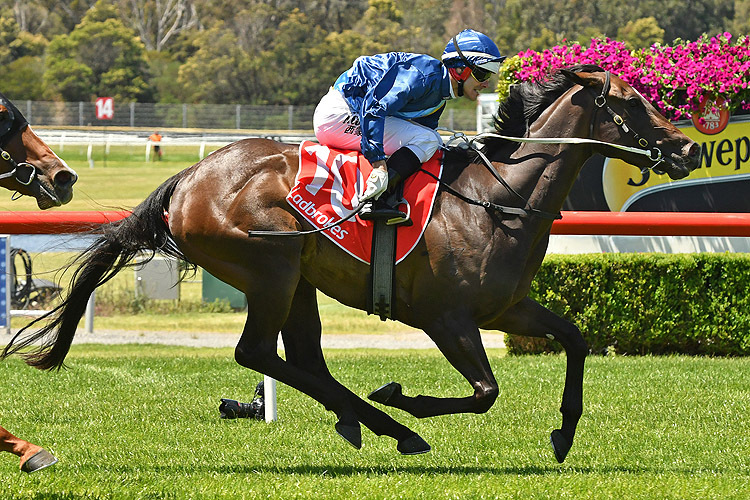 Race Synopsis: Ringerdingding continued his good form since joining the Darren Weir stable in advancing to take out this Group 2 race in promising style. He settled a bit closer in eighth place before improving (wide with cover) from the 600m. John Allen took him deeper to make his move coming to the 300m and he produced his now renowned strong finish to score quite comfortably at the post after hitting the front at the 50m. The lone filly in the field, Seabrook was smartly away from her wide barrier (10) and settled nicely outside the leader (Scottish Rogue). She got to the front at the 200m and fought gamely for second after running a very good race. Long Leaf had a good trip in fourth place, one out and one back, moved up strongly at the 300m and battled strongly for third in a sound performance. Zoutori, having his third start since winning a maiden (1200m) at Kilmore on October 5, did well in fighting on for (2.5 lengths) fourth after making ground from seventh at the home turn.